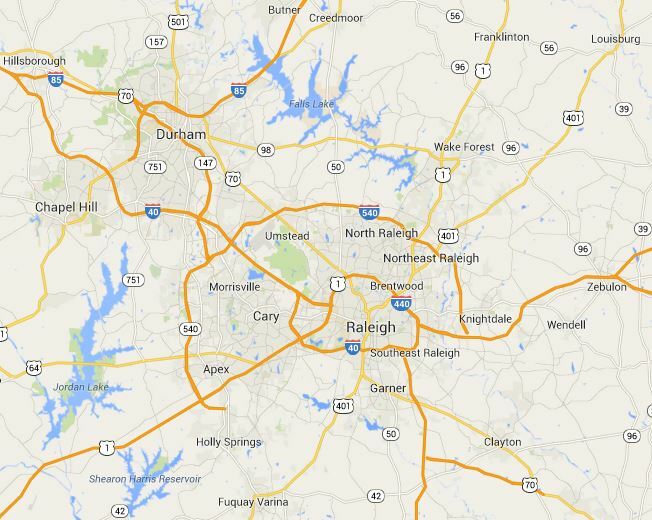 Located in Creedmoor, NC, Wreaths of Distinction Inc. is proud to serve our neighbors in Central North Carolina. We currently have clients in Raleigh, Wake Forest, Oxford, Franklinton, Louisburg, Zebulon, Knightdale, Wendell, Clayton, Garner, Fuquay-Varina, Holly Springs, Apex, Cary, Morrisville, Chapel Hill, Durham, Butner and the surrounding areas. We are also proud to serve clients further away from home in areas like Burlington, High Point and even along the coast, so even if you aren’t in our normal service area, please don’t hesitate to give us a call to see how we can help you. We can be reached by phone at 919-847-4359 or by email at sales@wreathsofdistinction.com and are available to answer questions, conduct a free consultation and place orders. We look forward to working with you during all holiday seasons.